The following is an excerpt from my recent article Importance of Energy Recovery in Compressed Air Systems for Chemical Engineering. The full version can be read online or in the December issue of the magazine. Industries account for 35% of the world’s final use of energy with more than 50% in developing countries. Compressors represent 12% of the total energy consumption, which equals 4.2% of the world’s consumption. There are various guidelines and standards available like ISO 50001, which can give you guidance on how to improve your company’s overall energy efficiency. ISO 50001 is a management system comparable to ISO 9001, ISO 14001 and ISO 18001. This standard alone does not hand you specific rules or targets, but it demonstrates how to set up a management system. In turn, you are able to identify major contributors to your company’s energy consumption, referred to as Energy Performance Indicators (EnPI), and how much you are spending on each EnPI. You can then define the targets for each, and follow up on reaching these goals. Following a management system will help you reduce your company’s environmental footprint. 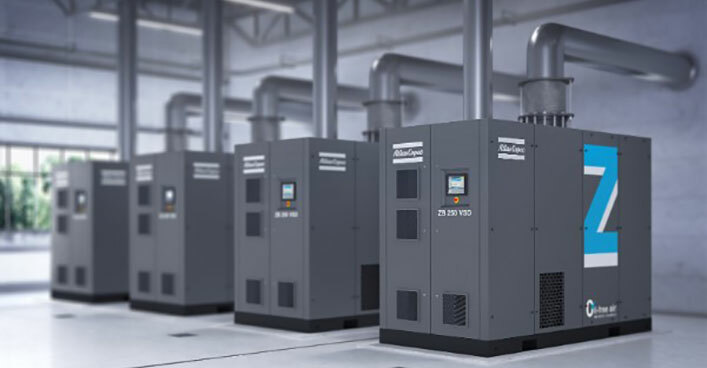 There is a huge opportunity to reduce energy consumption in compressed air systems, and energy recovery is one way to get started. Users can recover heat from existing installed compressors or choose to add the heat recovery component to newly purchased compressors. ISO 11011 is a worldwide standard on compressed air energy efficiency, which guides people on how to perform a compressed air system audit. It is part of ISO 50001 and a standard for compressed air energy efficiency. Energy efficiency is always a top priority and a strong incentive when seeking solutions to further reduce your carbon footprint. You can read the full article on online or in the December issue of Chemical Engineering. For more articles like this, make sure you subscribe to our blog.